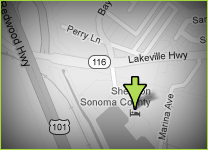 I am an estate planning attorney or lawyer whose primary office is located in Petaluma and I serve the counties of Marin, Sonoma, and Napa. 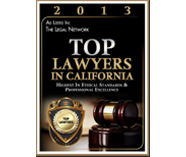 One function of an estate planning attorney is drafting your will so that it complies with California law. The most basic function of a will is to dispose of your probate property at death. The basic definition of probate property is property that is not titled, such as your furniture and other personal possessions, along with bank accounts or stock holdings that do not have beneficiary designations. A will can also appoint a guardian for your minor children, appoint an executor, and determine which beneficiaries will be responsible for transfer taxes. A good estate planning attorney/lawyer will ask questions beyond what a software program or template can contemplate. An experienced estate planner will raise the possibility of changed circumstances with you during the drafting process and address them accordingly in the will. For example, you’ve made a specific bequest of an item or amount of money to someone who predeceases you then what happens to that item or sum of money. Or what happens to an item that has been willed to someone is sold or disposed of before you pass. Another question that should be asked is what happens when your estate has insufficient assets to fund all bequests. These are important questions that are essential to a drafting a will that expresses your wishes because otherwise state law may determine the outcome of such questions. The problem with wills is that they are subject to a court probate process to validate them so that legal title to assets can be changed into the name of the heirs or family beneficiaries. When a person dies with assets titled in his or her name there is a problem because those assets need to be re-titled into the names of the deceased person’s heirs or beneficiaries. No doubt you’ve heard it is a good idea to avoid probate. The reasons for avoiding probate is its cost, it is time consuming (it often takes almost a year at best), it is a court process open to the public, and it is generally a drain on the executor of the will. The most effective way of avoiding these issues in probate is through creating a Revocable Living Trust which I discuss on the next page of my website.